Thank you for your interest in our NIH-funded T32 Clinical Research Training Program (DK062708). Core methodological skills in the design and execution of clinical research. A structured, mentored research experience under the guidance of our world-class Core Faculty. With this training, our T32 fellows leave fellowship poised to compete for tenure-track faculty positions and secure external funding for further career development, ultimately leading to independent research careers. Since inception in 2003, 19 trainees have completed this program. Nearly 80% are faculty at academic medical centers, and two-thirds have successfully competed for career development awards. Our T32 has been successfully renewed three times since 2003, most recently in 2018. Our Clinical T32 trainees are selected from the pool of GI fellowship applicants based on a competitive application process that includes a secondary application. If you are interested in applying for the T32 or if you have questions about our program, please contact the Associate Director, Dr. Sameer Saini, at sdsaini@med.umich.edu. Completion of a Master's degree in our renowned Institute for Healthcare Policy and Innovation (IHPI) Clinician Scholars Program, part of the National Clinician Scholars Program, which focuses on the design and execution of clinical research, including not only traditional clinical research, but also T2, T3, and practice-based research (Year 1). Completion of a focused GI clinical research seminar series (which includes presentation and discussion of ongoing research by GI fellows), a comprehensive clinical epidemiology/health care policy seminar series, and ongoing seminars and workshops (Years 1–3). Successful design, execution, and publication of multiple research projects under the guidance of a team of mentors (mentored research), including gastroenterologists, hepatologists, and methodologists performing clinical research (Years 1–3). Preparation of a career development award application or other research grant application. We believe that early grant applications are crucial to the success of early career faculty because these awards provide transitional funding to facilitate a successful career in clinical research (Year 3). Each trainee focuses on a specific topic and completes 3 interrelated projects: (1) a meta-analysis; (2) a secondary dataset analysis; and, (3) design of a prospective study. These projects provide the foundation and preliminary data for a career development award application. The VA Center for Clinical Management Research (CCMR) (a VA HSR&D Center of Innovation). Our multi-disciplinary Core Faculty includes expert biostatisticians, epidemiologists, behavioral economists, policy-makers, and translational, clinical, and outcomes researchers from not only the Division of Gastroenterology and Hepatology, but also the Division of General Internal Medicine and the School of Public Health. Most faculty are federally-funded for their ongoing research, and these faculty offer a broad spectrum of research expertise with multiple levels of established collaboration and many years of experience mentoring trainees. Dr. Lok is the Alice Lohrman Andrews Research Professor in Hepatology and Director of Clinical Hepatology in the Department of Internal Medicine at the University of Michigan in Ann Arbor, Michigan. She also serves as Assistant Dean for Clinical Research in the University of Michigan Medical School (where she leads the clinical trials enterprise for the medical school), is the MICHR CTSA Clinical Trial Lead, and is the former President of the American Association for the Study of Liver Diseases (AASLD), the largest hepatology professional society in the world. Dr. Lok is an internationally recognized physician scientist, transplant hepatologist, leader, and mentor. She has published more than 450 articles and has an h-index > 100, reflecting the high impact of her work. Her research has been supported by federal grants from the National Institutes of Health (NIH) and the Veterans Health Administration (VA). Currently, she is Chair of the Steering Committee on the Hepatitis B Clinical Research Network (U01DK082863), a disease in which she is arguably the world’s foremost expert. Dr. Lok’s research includes bedside clinical, T1, and T2 studies. She has also served as an author and working group member for AASLD and World Health Organization (WHO) guidelines on HBV and HCV. Dr. Lok has trained more than 50 fellows and early career faculty over the course of her career, many of whom have gone on to become independent investigators and leaders in hepatology. In recognition of her accomplishments as a scientist, mentor, and leader, she has received numerous awards including the Distinguished Women Scientist Award from the American Gastroenterological Association (AGA) in 2008, the Distinguished Service Award from the AASLD in 2011, the Distinguished Mentor Award from MICHR in 2012, and an Inspirational Physician Award from the American Medical Association in 2014. Most recently, she was awarded the AGA’s 2016 William Beaumont Prize in Gastroenterology, which recognizes an individual who has made a unique, outstanding contribution of major importance to the field. Dr. Lok served as an Associate Editor of Hepatology from 2001-2006, Co-Editor of Journal of Viral Hepatitis from 2007-2009, and Senior Associate Editor of Gastroenterology from 2011-2012. She has also served on various NIH and VA study sections. Dr. Higgins, an internationally recognized leader in inflammatory bowel disease (IBD). Dr. Higgins is a Professor of Gastroenterology in the Department of Internal Medicine at the University of Michigan and Director of the Inflammatory Bowel Disease Program at the University of Michigan. He also previously served as Associate Director of the Training Program in GI Epidemiology and is himself a graduate of this Training Program. Dr. Higgins’ research focuses on clinical trials in IBD, translational research in measuring intestinal fibrosis in Crohn’s disease, development of anti-fibrotic therapies, and the use of machine learning for predicting response to IBD therapies. He currently leads the Crohn’s and Colitis Foundation of America (CCFA) Clinical Research Alliance and the IBD Working Group at the University of Michigan. He has published over 140 research papers and has received multiple NIH grants and foundation awards for his research in IBD. His current funding portfolio includes two R01s (R01DK109032 and R01GM097117) and over 50 active clinical studies in IBD. Dr. Higgins has served as the Associate Editor for the American Journal of Gastroenterology and Inflammatory Bowel Diseases. His research has impacted policy related to IBD through his work on the AGA IBD Quality Measures Committee and the development of national guidelines for IBD. He has also received many honors and awards, including the AGA IBD Clinical Research Excellence Award. Dr. Higgins has trained more than 20 fellows and early career faculty over the course of his career, several of whom have gone on to become independent investigators, including Dr. Akbar Waljee and Dr. Ryan Stidham. Notably, as an MD-PhD, he brings expertise in not only outcomes research, but also translational research and clinical trials. Dr. Saini is an Associate Professor of Gastroenterology in the Department of Internal Medicine at the University of Michigan. He is a former graduate of this Training Program. He is also a Research Scientist at the VA Ann Arbor Center for Clinical Management Research. Additionally, he serves as Director of the Gastroenterology Junior Faculty Health Services Research Mentoring Program (JF2K) (which he founded in 2016) and Co-Director of the Mentoring Core at the VA Ann Arbor HSR&D Center for Clinical Management Research (where he also sits on the Investigator Leadership Team). Finally, he serves as Associate Director of the GI Fellowship Training Program. Dr. Saini’s research focuses on appropriate use of resource-limited medical procedures, such as colonoscopy and upper endoscopy, development of “next generation” performance measures, and development and testing of multi-level interventions to reduce the use of low-value care. His research has been continuously federally funded since 2010. 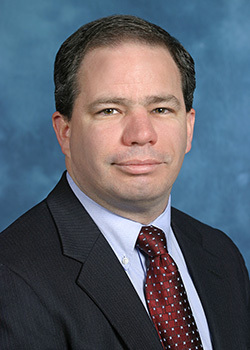 His funding as Principal Investigator has included a VA HSR&D Career Development Award (a 5-year K-level award that provides salary support for career development), a VA QUERI Rapid Response Proposal (an independent, operationally-focused implementation award), and multiple VA HSR&D Merit Awards (which are 4-year R-level investigator-initiated research awards). Dr. Saini’s mentees include Dr. Akbar Waljee (an independently-funded investigator who serves as Training Program Core Faculty) and several early career faculty who have successfully competed for NIH K-level awards. Dr. Saini currently serves on the American College of Physicians (ACP) Performance Measures Committee and is former Lead of the Colorectal Cancer Screening Workgroup for the AGA Quality Measures Committee. He also serves as Associate Editor of the American Journal of Gastroenterology and is a member of the American College of Gastroenterology (ACG) Research Committee, a study section for ACG research grants and career development awards. John I. Allen, MD, MBA, is a Clinical Professor of Medicine with a career that has spanned academic medicine, community practice, leadership, and healthcare policy. He brings a national reputation and expertise in the fields of quality measurement, quality improvement, medical group management, and health care policy. As former President of the AGA, he spearheaded AGA efforts to develop quality measures and worked with CMS and other payers to implement these measures into clinical practice. In 2012, he founded the “Practice Management: The Road Ahead” section of Clinical Gastroenterology and Hepatology, where he served as a Special Section Editor. His expertise in GI healthcare policy and leadership will be valuable to trainees with an interest in policy-oriented research, such as performance measure development and payment reform. William D. Chey, MD, Professor of Medicine, is a renowned expert in functional gastrointestinal disorders (FGIDs) who has a long track record of research addressing the pathophysiology, diagnosis, and treatment of these highly prevalent and debilitating disorders. His work has been well-funded through multiple industry grants, including several that are currently active. He was an integral part of the Rome III and Rome IV processes, which were responsible for developing the diagnostic criteria for the FGIDs, and was recently appointed Co-Chair of the Rome Foundation working group addressing the role of food in functional GI disorders. He is co-inventor of the digital health platforms “My GI Health” and “My Nutrition Health” as well as a glove-based manometry device called “Digital Manometry”. He was Co-Editor-In-Chief of the American Journal of Gastroenterologyfrom 2010-2015.  Dr. Chey supervises a rapidly growing program of dietary interventions for functional GI disorders at the University of Michigan. His expertise will be invaluable for trainees with clinical research projects related to FGIDs. Raymond De Vries, PhD, is a Professor in the Department of Learning Health Sciences and the Department of Obstetrics and Gynecology, and Associate Director of the Center for Bioethics and Social Sciences in Medicine (CBSSM). He is a medical sociologist with broad experience in qualitative and deliberative methods. His NIH-funded work spans clinical domains but examines societal and ethical issues in medicine. He serves as a methodological expert for trainees who seek to utilize qualitative and mixed methods. Robert J. Fontana, MD, Professor of Medicine and Medical Director of Liver Transplantation, focuses his research on acute liver failure, drug-induced liver injury, and viral hepatitis. He is the Principal Investigator on the U01-funded Drug-Induced Liver Injury (DILI) Network (U01DK065184). He also has extensive experience using large datasets to evaluate outcomes related to liver transplantation. Dr. Fontana’s expertise will be invaluable to trainees with an interest in complications of liver disease and the use of large datasets to assess outcomes in liver disease patients. Rodney Hayward, MD, Professor of Medicine in the Division of General Internal Medicine, is Director of the IHPI Clinician Scholars Program and former Director of the VA Ann Arbor Center for Clinical Management Research. His research focuses on quality improvement and application of practice guidelines to improve patient care. Dr. Hayward brings a wealth of experience in the organization and administration of training programs. He also brings significant leadership experience in mentoring and facilitating the performance of outcomes and health services research by post-doctoral trainees. 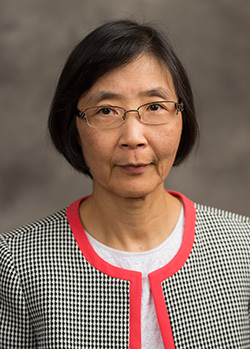 H. Myra Kim, ScD, is Adjunct Professor of Biostatistics in the School of Public Health, Research Scientist in the Center for Statistical Consulting & Research, and Core Faculty in the IHPI Clinician Scholars Program. Dr. Kim serves as consulting biostatistician for multiple faculty in the Department of Internal Medicine and the VA Center for Clinical Management Research. In this role, she collaborates on the statistical plan and data analysis for faculty research projects. She also mentors our trainees on statistical planning/data analysis for their research projects. Laurence F. McMahon, Jr., MD, MPH, Professor of Medicine, is Chief of the Division of General Medicine. Other appointments include Professor, Health Management and Policy, School of Public Health, and Senior Associate Director of the IHPI Clinician Scholars Program. Dr. McMahon's research focuses on delivery of cancer screening services, health care administration, and payment models. He is currently Principal Investigator on an R01 studying the impact of disability and social determinants of health on value-based purchasing. Through his various roles, Dr. McMahon brings a wealth of experience in the organization and administration of training programs in clinical research and epidemiology, and he has served as advisor to literally dozens of post-doctoral epidemiology students, GI fellows, medical residents, and medical students. Joel H. Rubenstein, MD, MSc,Associate Professor of Medicine, investigates risk factors for Barrett’s esophagus and esophageal adenocarcinoma that will lead to more effective endoscopic screening and identification of appropriate biomarkers. To accomplish these goals, he utilizes epidemiologic, outcomes, and translational tools. Dr. Rubenstein completed his Master’s Degree at the University of Michigan School of Public Health in Clinical Research Design and Statistical Analysis as a trainee in our Training Program. As Director of the Esophageal Program at University of Michigan, Dr. Rubenstein provides content and methodological expertise for trainees with an interest in esophageal diseases and cancer prevention. He also serves as a faculty member for the GI clinical research seminar series. Sandeep Vijan, MD, MS, Professor of Medicine in the Division of General Internal Medicine, is a Research Scientist at the VA Ann Arbor Center for Clinical Management Research and Director of Quality Analytics at the University of Michigan. Dr. Vijan conducts health services and policy research on individualizing decisions around treatment of chronic diseases using statistical modeling methods, including econometrics and simulation methodology. He is a Core Faculty member of the IHPI Clinician Scholars Program (where our trainees receive their advanced clinical research training and earn their Master’s degree). His research has been funded by NIH and VA. His role in this research grant will be to mentor trainees in simulation modeling and economic analysis. Additionally, in his role as Director of Quality Analytics for the health system, he facilitates access to data from the University of Michigan Hospitals for secondary data analysis. 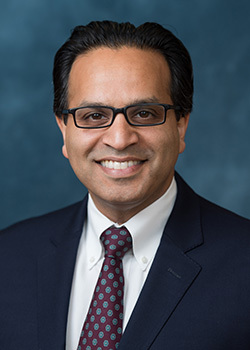 Akbar K. Waljee, MD, MSc, Associate Professor of Medicine, is an expert in IBD whose research focuses on the use of advanced data science techniques such as machine learning to predict clinical outcomes. He is a graduate of our Training Program. His current work is funded by VA, Department of Defense (DoD), and NIH. Dr. Waljee also plays an integral role in the IHPI Data and Methods Hub, which houses extensive data resources, including multiple large national datasets. He facilitates data access and provide methodological support related to advanced data science techniques.He also serves as a faculty member for the GI clinical research seminar series. Brian Zikmund-Fisher, PhD, is an Associate Professor of Health Behavior and Health Education in the School of Public Health and a Research Associate Professor of Medicine. He is also Associate Director of the Center for Bioethics and Social Sciences in Medicine (CBSSM). Dr. Zikmund-Fisher uses his interdisciplinary background in decision psychology and behavioral economics to study factors that affect individual decision making about a variety of health and medical issues. His research in health communications focuses on making risk statistics and other types of quantitative health information meaningful and useful for decision making by patients and the public. An expert in survey design, Dr. Zikmund-Fisher leads the Internet Survey Lab at CBSSM and has assisted numerous trainees from our Training Program in survey design. He provides methodological guidance and support related to survey research, development of patient educational and risk communication materials, and medical decision-making.